L. 350x260 mm., S. 495x375 mm. 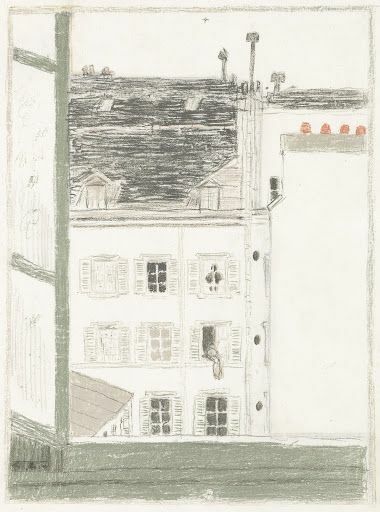 The present impression is of the utmost rarity; the first state is characterized by the two apparent registration marks above and below (used to align the different color stones), an incomplete borderline, a sketchy treatment of the gables on the far building, and to a lesser extent, the beige roofs on the buildings above right and, below in the courtyard, lower left. 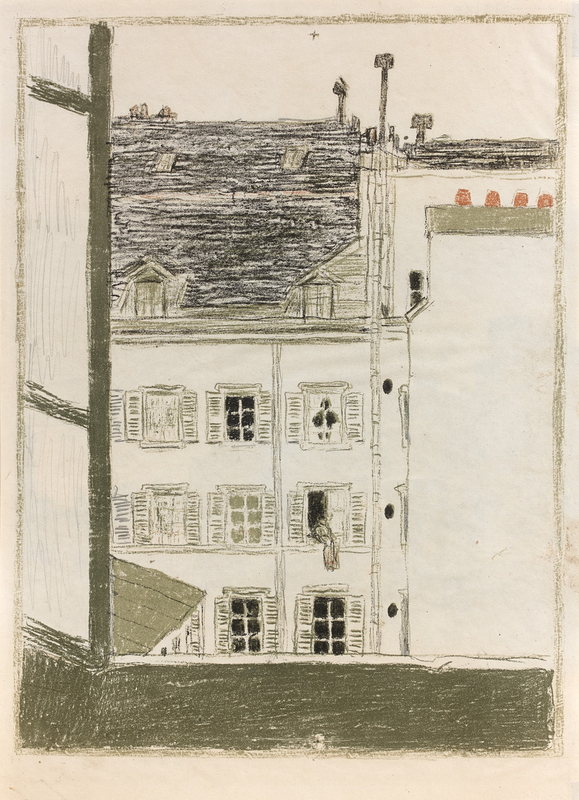 The extensive pencil retouching here notably concerns shading on the window panes, left, and additional shutters sketched in next to the leftmost windows on the far building; there is other work on several of the windows. Furthermore it rectified the border ine, effacing the registration marks, and added lithographed shading on the window panes. The additional shutters to the far left were not retained. Other work was completed on several windows and downspouts on the far building.